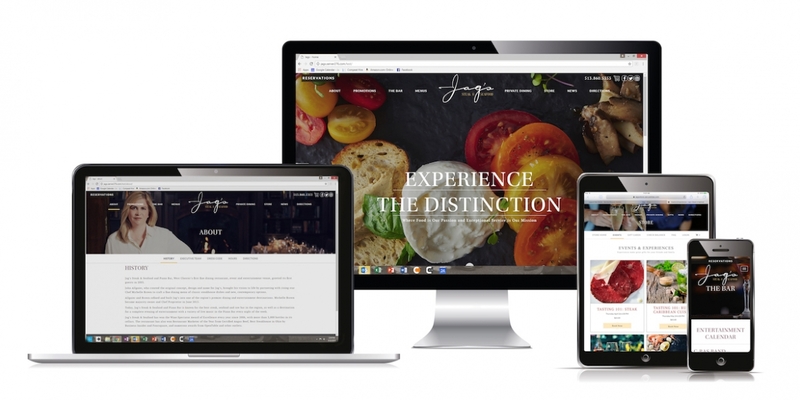 Jag’s Steak & Seafood invites guests to explore its new website. The website features a cleaner and contemporary design to highlight Jag’s beautifully delicious cuisine, private dining, events and more in a user-friendly experience. The new website is the latest in a series of updates the business has undertaken since Chef Michelle Brown purchased the business and became majority owner. The restaurant underwent a complete renovation in November 2017, and made updates to the restaurant menu to include a dozen new dishes. GIFT CARDS: Purchase e-gift and traditional cards online, and check gift card balances easily through the site. EXPERIENCES: Reservations for Jag’s special events, like the Tasting 101 series, are available for purchase quickly and easily. Gift cards purchased online or in-store can be used to make reservations for Jag’s experiences. NAVIGATION: A full website, as well as a mobile-optimized site, make it easier to find exactly what you’d like from any device. PRIVATE DINING: A new private dining section highlights updated private dining menus and resources for planning the perfect private event. THE BAR: Jag’s entertainment lineup is posted in an easy-to-read calendar of events. Never miss your favorite local band performing live atop the piano bar or on the big stage.